Up until now I have not really paid much attention to Mozilla's attempt at creating an operating system for mobile devices. Today the company announced a name change and new partnerships to give the project traction in a world that is dominated by Mozilla's rivals in the browser market: Google with Android, Apple with iOS, and Microsoft with Windows Phone are all maintaining a mobile operating system. Today Mozilla announced the name change from Boot2Gecko to Firefox OS, a move that demonstrates that the organization intends to push the system out in the open. The move makes sense from a marketing perspective, as Firefox is an established brand, while Gecko is something that only tech-savvy users know about (it is Firefox's layout engine). Mozilla managed to win six carriers, Sprint, Telefonica, Deutsche Telekom, Etisalat, Smart and Telenor, which plan to produce handsets with the operating system installed. Besides operator support, Mozilla also announced partnerships with the two device manufacturers TCL Communication Technology and TZE. First devices with Firefox OS installed are said to be available by the end of 2012 or the beginning of 2013 in emerging markets. 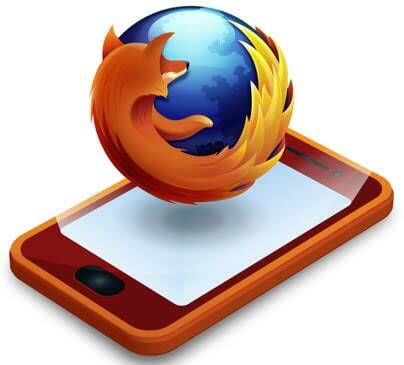 Telefonica will be one of the first companies to offer Firefox phones in Brazil in early 2013 under its Vivo brand. Firefox OS is an open source operating system that gives web developers the same capabilities that desktop software developers have. It is in this regard similar to Google's Chrome OS, with the difference that Firefox OS is not optimized for a particular device type but adapts well to all kinds of mobile devices. Carriers and manufacturers that have partnered up with Firefox are pointing out that Firefox OS is ideal for developing markets as it is giving them the opportunity to produce devices at lower costs. I have to admit that I was not really a fan of Boot2Gecko until now, but that my opinion on the project is changing right now. I'd really love to get one of the first Firefox OS enabled devices to have a play with it and see what it has to offer. Anyone in Brazil care to provide me with information if there is a possibility to get hold of a phone (preferably English interface, no contract, not locked). 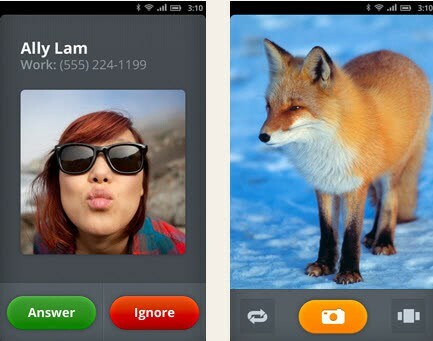 What's your take on Firefox OS? Will it become a contender in the mobile market, or share the fate of Chrome OS? Mozilla — stop trying to be / beat Google! Just concentrate on making a very good web browser! Unfortunately I think that today making only a good desktop browser is not sufficient. Since more and more traffic will move from desktop (which anyway I will continue to use mostly) to mobile, any browser developer should consider to extend his product to mobile or die. The only choice to Mozilla is to develop a browser for Android or for its own new operating system. Forcing everyone and every app to move online will be the doom of us (thanks for the ‘html5’ and acid3 scores!). Unless apps, data and features primarly work offline, this is yet another attempt to lock us again behind the cloud. Noone should need to be reminded why desktops and linux thrive. We’ll have to wait and see how much Microsoft and Apple are going to charge to license their invalid-but-still-unchallenged software patents when handset makers want to use FirefoxOS. then we’ll know if it’s going to fly or not. Mozilla OS will succeed more than WP7/WP8 . > Mozilla — stop trying to be / beat Google! > Just concentrate on making a very good web browser! That’s the problem: the desktop is fading and Mozilla can’t compete with Google on Android or Safari on Mac/iOS. They have to come out with a platform or just accept a 3rd (or 4th) place. I look forward to using a device that does what I want it to do rather than what Google or Apple want it to do. I’d definitely buy a Firefox phone. Mozilla has to do something to minimize their browser losses. Both Apple and Microsoft have put browser roadbloacks in their way in their OS’s. And let’s face it, apps are going to be the wave of the future, reducing browsers to a smaller role. Might as well try to partner up with some mobile carriers to carry their OS.